In September 2013 Russian MEMS Association signed a cooperation agreement with the world’s largest pure-play MEMS foundry Silex Microsystems AB and became its representative in Russia. 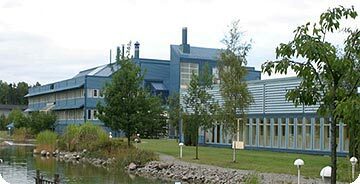 Silex Microsystems AB, a Swedish company, whose headquarters and production facilities are located in Järfälla, Sweden, specializes solely on MEMS making. Founded in 2000, presently the company is an acknowledged innovation and technology leader, and a reliable manufacturing partner. With the staff over 140 employees Silex has built a wide net of global customer base. RAMEMS is pleased to offer unique capabilities of Silex for MEMS developers and customers in Russia. Now MEMS players at Russian market will be able to have MEMS-prototypes and devices made at Silex dedicated 6" and 8" production lines as well as make use of many other services of the leading industry experts from all-silicon packaging to MEMS-CMOS integration.